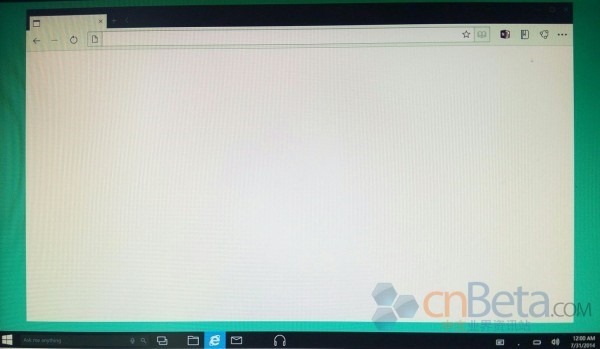 Another screenshot of Microsoft’s upcoming Web browser for Windows 10 – codenamed ‘Spartan’ – has been leaked online. 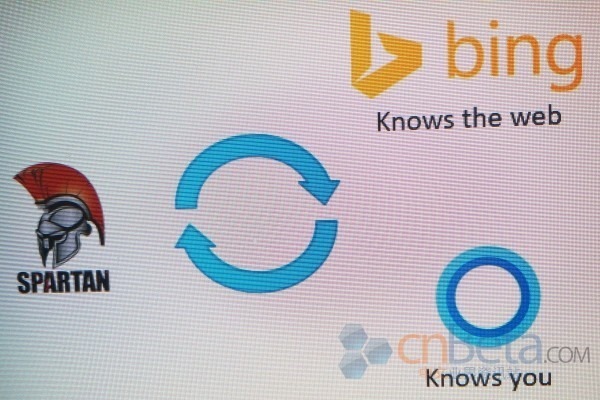 If you’ve been closely following all Windows 10 developments so far, you would know that the ‘Spartan’ browser along with Cortana, are some of the most anticipated offerings Windows fans are looking forward to checking out when the desktop OS is released. Internet Explorer has been notoriously slapped with the expression of being that one browser used to download another (or a much better) browser, and some Windows using old-timers like me, would know this all too well. Internet Explorer has always been in need of a dire revamp, mostly on the performance front where the likes of Chrome, Opera, Firefox have left the aging browser way behind. We saw leaked screenshots of the ‘Spartan’ browser earlier, which displayed nothing spectacular to be honest, with an interface that looked like any other modern day app, such as Chrome or even Opera, but that is fine with us. It’s minimal, and it’s the function and speed that needs to make the mark here if Microsoft really is to leave behind the stigma of the shunned Internet Explorer. These previously leaked screenshots were largely snippets and only showed some relevant areas of the browser, but this time around the leaks capture the entire desktop screen with ‘Spartan’ running in all its glory, but with no website loaded. Lucky for us, this also gives us a peek at what looks to be a dark theme for Windows 10, with a slightly dark-grey colored Taskbar and minimalistic looking icons. This dark Taskbar was earlier spotted in a leaked version as well, and it looks like all those supposed speculations and leaks are becoming a reality with an increasing frequency of appearance. We mentioned how Cortana – the virtual assistant from Microsoft – is also set to be included with the final release of Windows 10, and we see the feature neatly laid out next to the Start button as a manual search field, and as well as a voice assisted function. 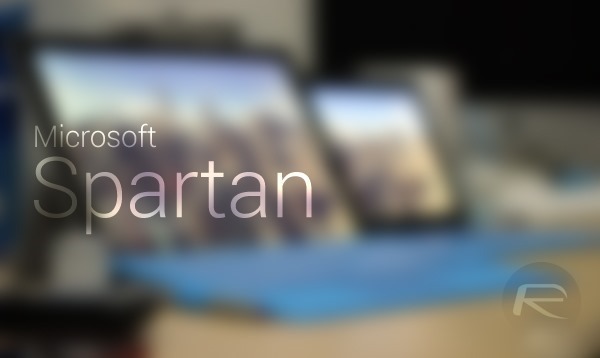 Apparently, Microsoft will be releasing separate versions of ‘Spartan’ for Windows 10 on the desktop and mobile platforms, but both will be carrying the same functionality and set of features. Microsoft will be holding a press event at its headquarters on the 21st of January, where the company will likely be revealing more information on its plans for the ‘Spartan’ browser, and of course, Windows 10. Ugly it may be, but functional is what it looks like to me. I’ll take function over form any day. Call a turd what ever you want, it is still a turd.